Being in the water is familiar to everyone, but somehow special. It’s like being in another world. In this other world, our senses are directly affected. The slowness, the muffled sounds, gravity, the perception of space, give consistence to this fully interactive environement. 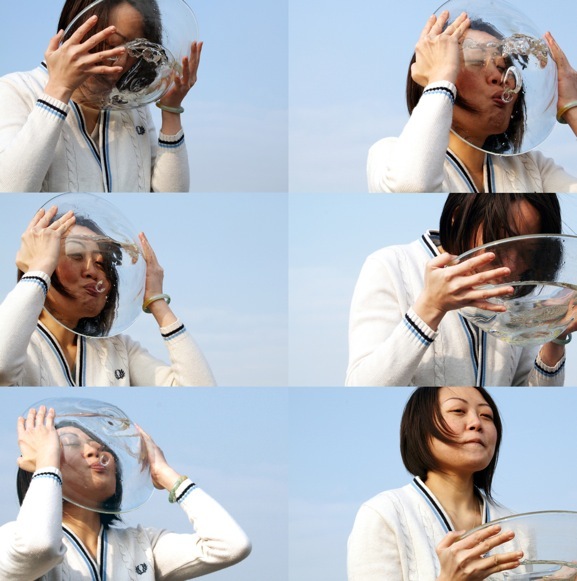 These glasses are designed for a drinking place at the exhibition “in water”. By drinking water you can experience how it is to be ‘in water’. 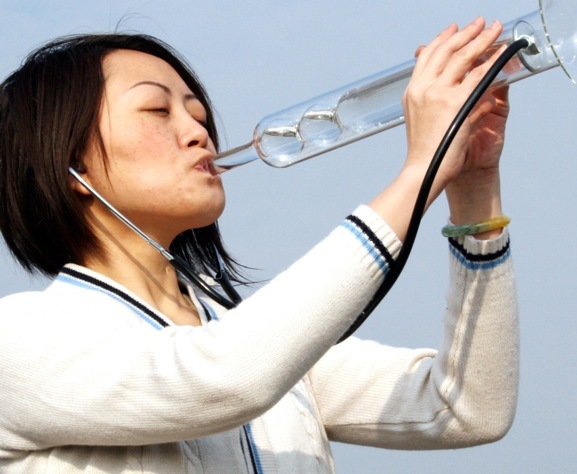 One glass is based on the sound and the other on the vision of being in water. 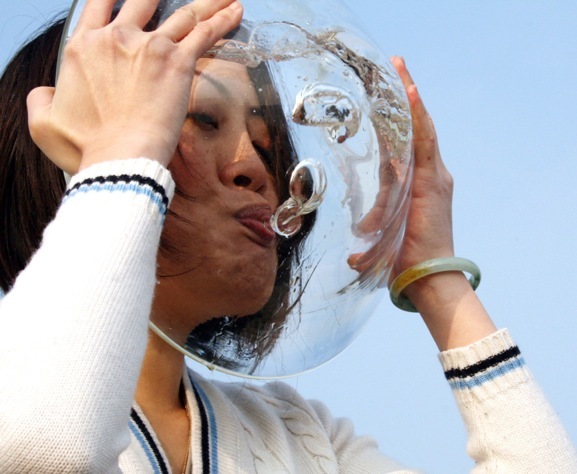 A hollow glass with a small glass pipe makes the drinking of the water possible to play with air bubbles while looking through it and deforms your vision like the surface of water when deeply immerged. 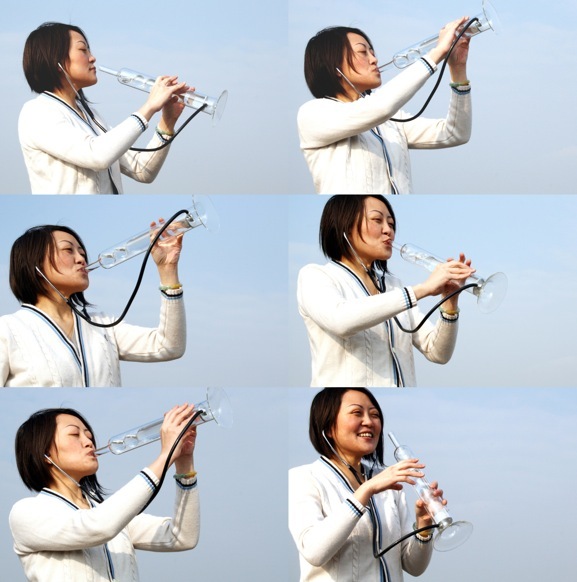 While drinking water from the water sound glass you hear the rhythm of sloshing sounds of the moving water from the inside of the glass.